As no-one else is doing one of these...and is there a theme amongst my builds? 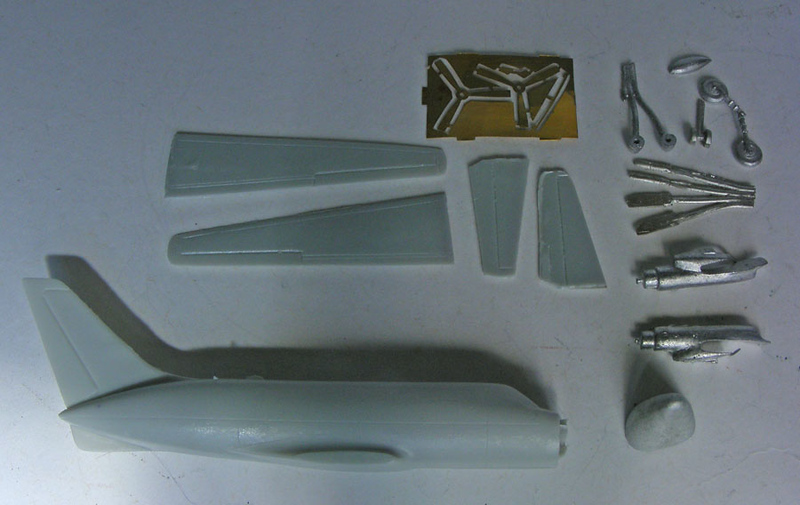 Very nice resin pieces, plus some very useful white metal, icluding a metal nose for weightQ Also included are PE prop blades, which is nice. It's my madness that keeps me sane. 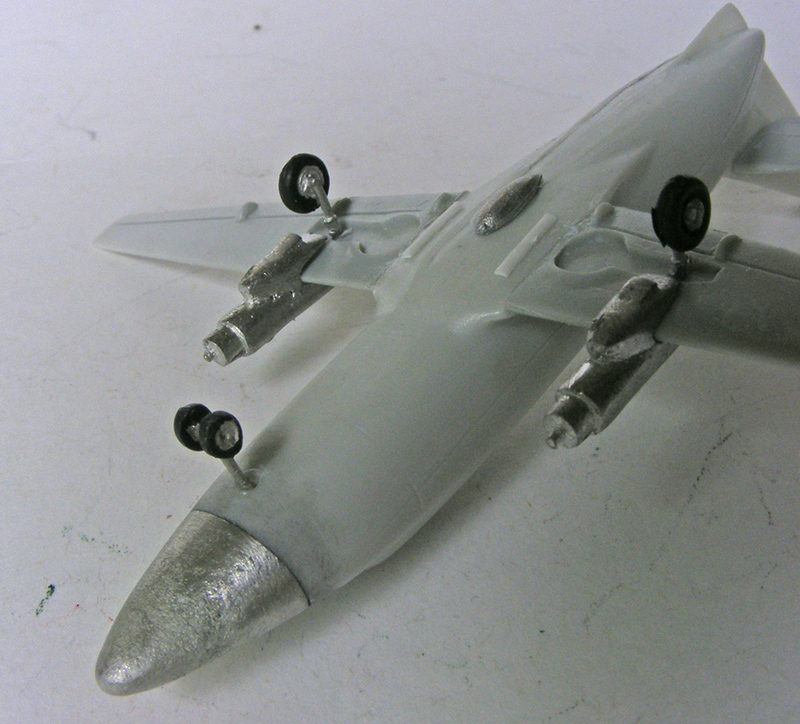 First task was to ensure that both mating surfaces for the main resin fuselage and white metal nose were suitably clean. (At least this time, I don't have to worry about nose-weight! 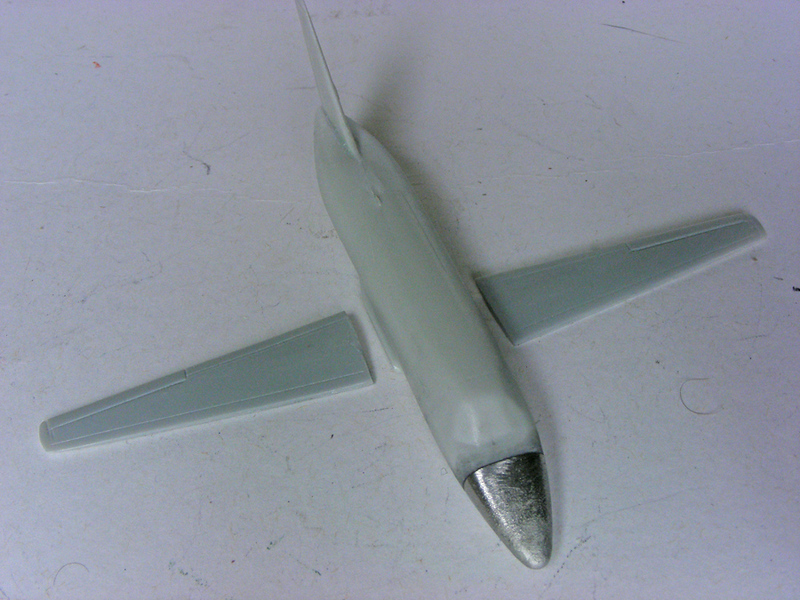 Fixing these to the fuselage was issue-free and I somehow manag to get the dihedral just right, first time. 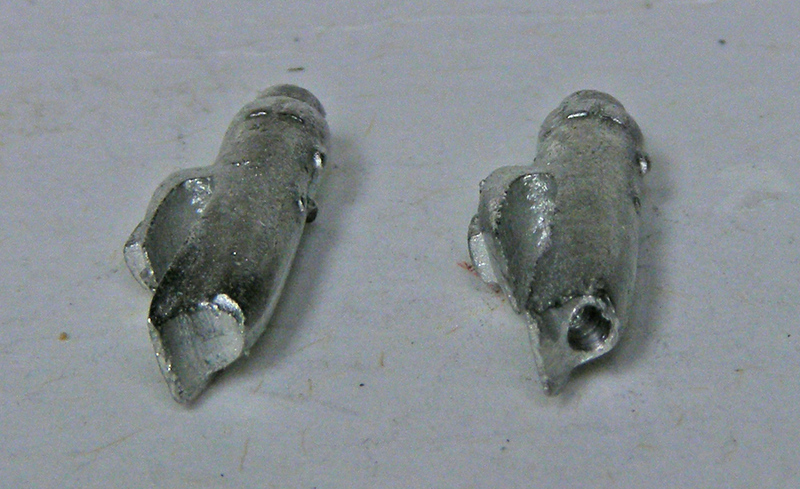 There was only a little clean-up for the two white-metal engine nacelles. A bit of a moulding seam to remove and then some drilling for the exhaust. 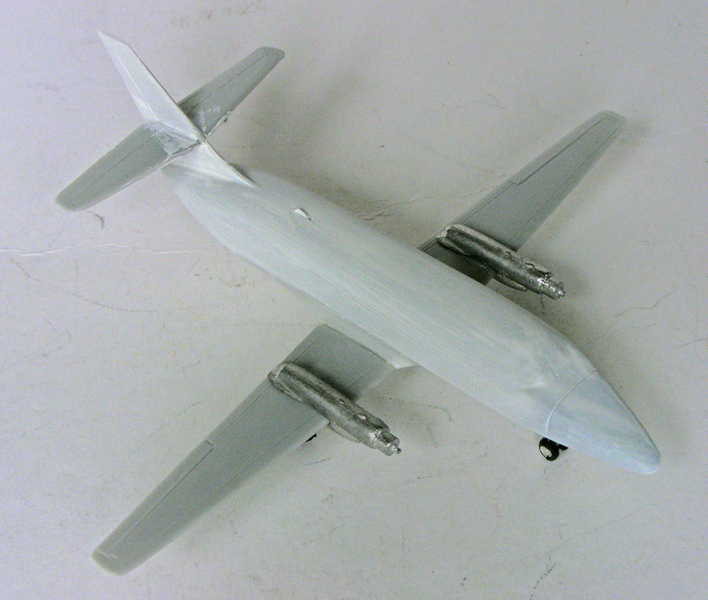 There's no indication on the wings to really help with placing the engines. 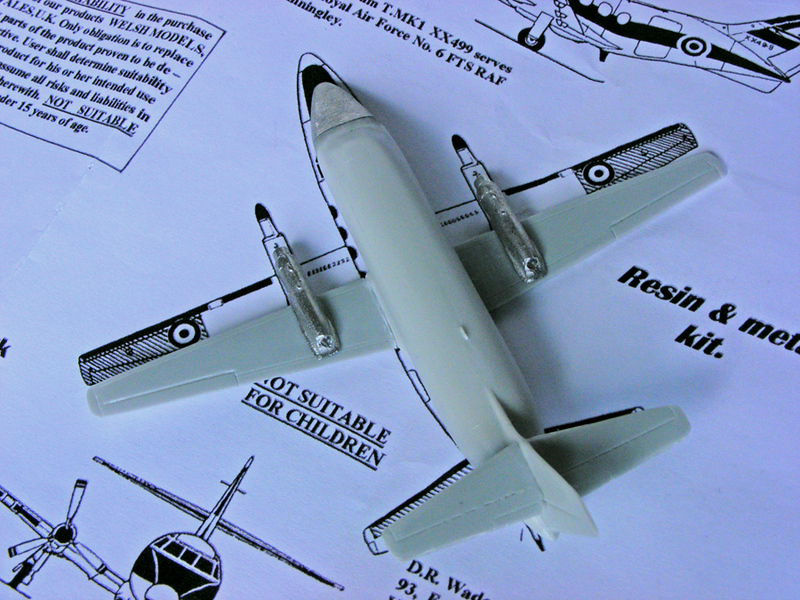 However, Welsh Models' diagrams are 1/144 scale, so I was able to use these to guide my engine-placement. I had some fun painting the tiny wheels, but my Punch & Die set helped me here. I drilled holes to give the fine metal legs something to bite into. 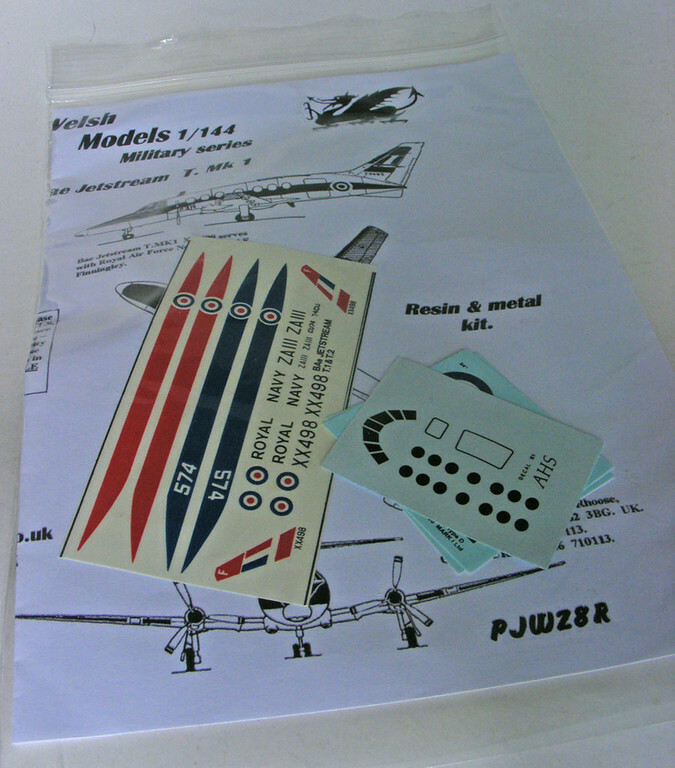 ...Then Humbrol H174 Signal Red, chosen because it matches the red of the decals. Looking good, Merlin. 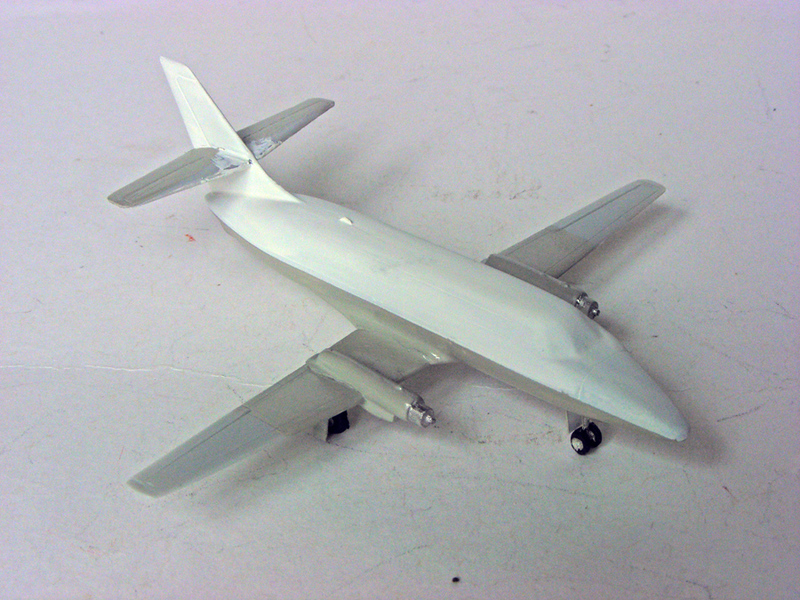 And little chance of this one ever being a tailsitter, although you may need to reinforce your shelving with all that extra weight. Looks great. Good work fairing that nose in too. Curses...and it was all going so well! 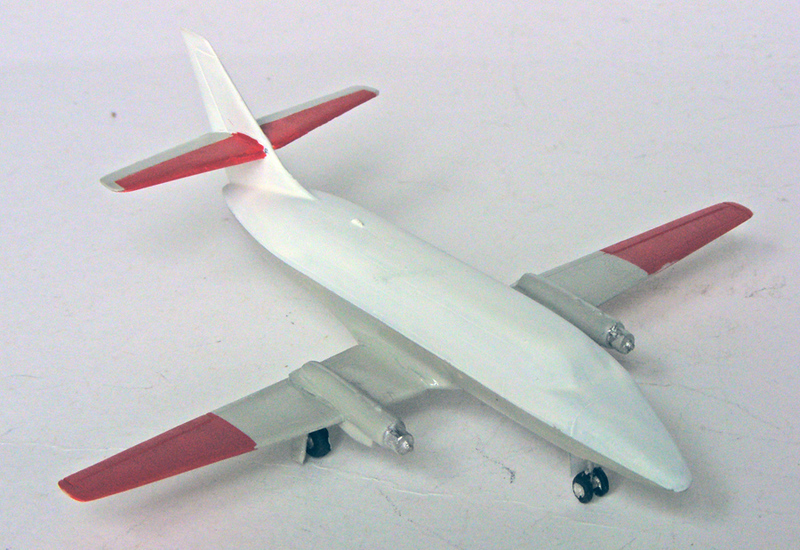 The big red 'cheatline is provided as a decal. Unfortunately, it's so transparent,it's actually useless, with the demarkation between the white and light grey being blindingly obvious. I've now placed the decal on a wide strip of masking tape and will try to cut around it, making a mask. At least painting it all will make the red on the model 100% consistent. Rats! Hard luck Merlin. 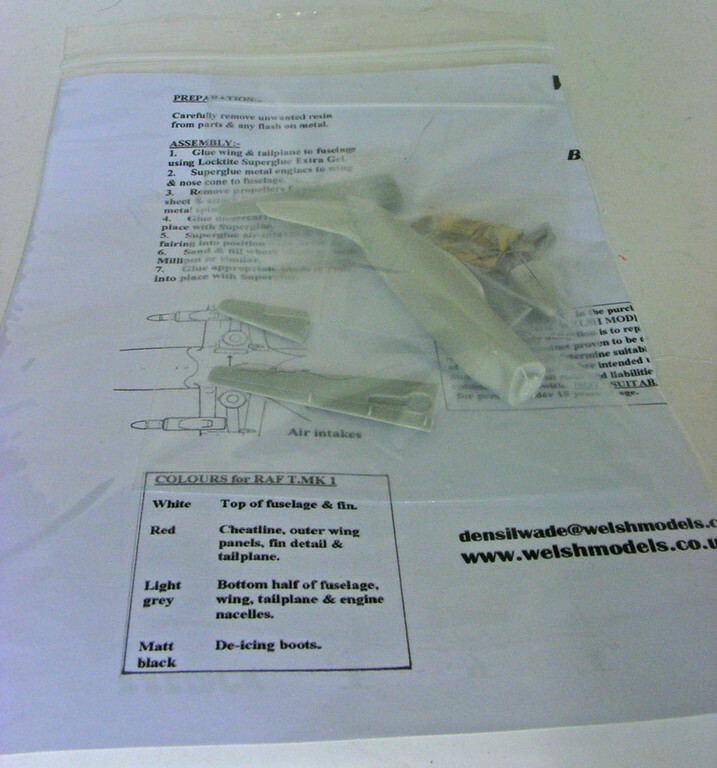 I wonder why Densil chose to go down the resin route with this when the previous issue was injected plastic??? BigReg wrote: Rats! Hard luck Merlin. 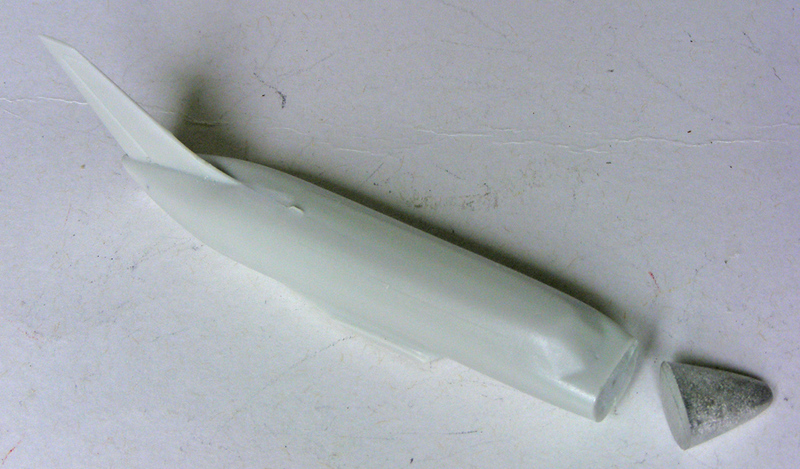 I wonder why Densil chose to go down the resin route with this when the previous issue was injected plastic??? It was? You sure? 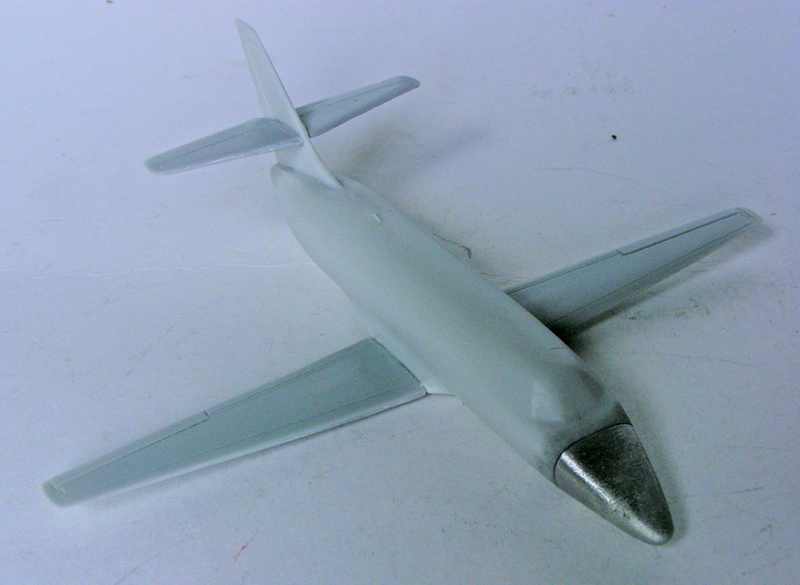 The only Jetstreams I've built from Welsh Models have all been resin. The decal issue is a great shame, because, genrally, the decals supplied aren't very good. I can only guess that Mr.Wade is throwing custom to a modelling friend. Neat way of cutting masks - I’ll remember that. Good luck. 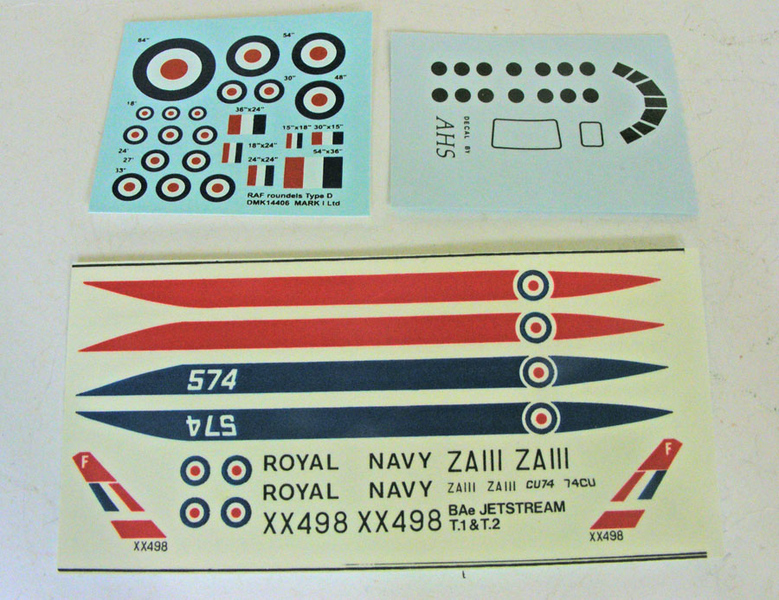 I do hate it when you get let down by decals - always feels like a savage little betrayal after all the energy you put into assembling a kit. Treason!